Aside from inspiring/funny pictures of your fellow members and links to Prancercise videos, your gym blog or Facebook page contains some very important information—the daily programming. 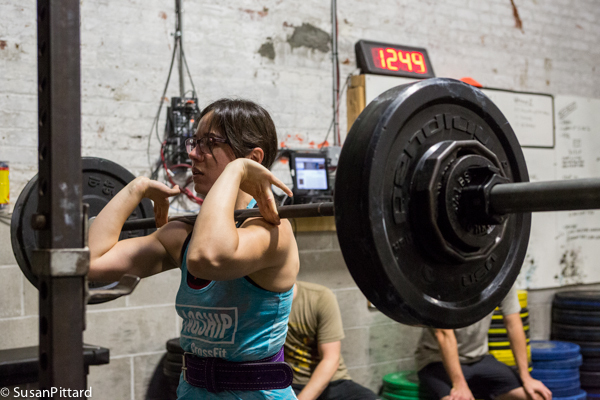 At CrossFit South Brooklyn, we take the time to write out the lifts, WODs, and accessory work you will see when you get to the gym, often with some editorial comment, helpful links, or videos related to their execution. Taking a few minutes to review your expected toils will let you plan your approach, think about possible scaling or substitutions, and save everyone time when you get to the gym. Also, make sure to comment, or add your voice to our community in a way that's appropriate at your affiliate. The more experienced members at your gym aren't writing in their dream journals after class, they are keeping notes in their training logs, and you are encouraged, nay, expected, to keep one too. Dutifully logging your numbers will allow you to track progress over time, so you will know when to give yourself pats on the back (assuming you have to mobility to do so, see below). Further, at CFSBK, all of our programming is referential in nature—it is based upon work you have done before—whether that’s last week's squat numbers, a bench press 1RM, or your time and scaling on a benchmark WOD. Even days that seem self-contained—a novel WOD or a lifting day where we “work up to a heavy 5”—can be better understood if you have the context of similar WODs or previous lifts. If you are following more advanced programming, this is especially important, as much of the programming is percentage-based. You will earn the undying love of your rackmates and coaches if you have worked out your percentages or loads before you lift, trust me. Shoes, wraps, belts—somewhere along the line CrossFit evolved from the hobby of sweaty dudes in Chuck Taylors and board shorts into the sport of spandex-clad meat robots (props to Kelly Starrett) sporting enough neon-colored accessories to make Jem jealous. With some exceptions, good gear can be a true boon to your performance, and as such we encourage members to take advantage of it. That said, at the very least you should have your gear within immediate arm's reach when it comes time to use it. Having to dash to your bag to grab your jump rope or switching shoes during lifting time eats into everyone’s time. Part of the blog review mentioned above is to make sure you know what gear you need to bring, and when you will need it. Be prepared. 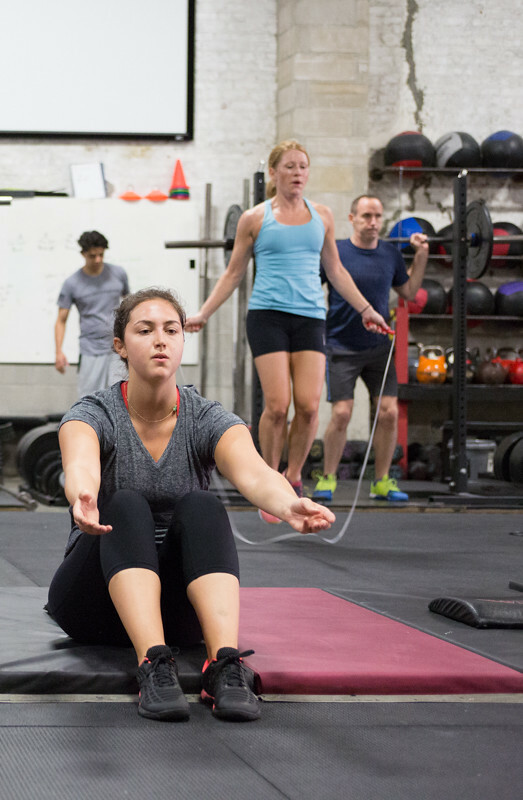 We pack a lot into an hour at CrossFit, but we can’t do everything everyone wants to do within the relatively short time we have allotted. If you are feeling beat up, have specific mobility concerns, or want to practice a specific skill, feel free to come before class—or stay after—to work on your goals. The coaches are always happy to point you in the right direction to get y ou started. Incorporating Active Recovery class (or your affiliate's equivalent) will also give you the tools and know-how to address your problem areas. Making sure that you are physically prepared for class will reap immediate performance benefits. Our most successful athletes make sure they are properly warmed up and mobilized before class and make sure to cool down and work on skills afterwards. At the very, very least, be on time. Running into a class late is disruptive for other members and the coaches, but more importantly you are gambling your personal safety by coming in cold and underprepared. At CFSBK, we have a five-minute grace period for class attendance. Any member arriving over five minutes late will only be permitted at the coach's discretion. We tell CFSBK members that if you show up 10 or more minutes late, you should start planning your extended warm-up, make a Lego sculpture in our lounge area, or asking your beloved coaches how they like their coffee! It really does seem like CrossFit is everywhere. It just keeps popping up in my life...I feel like I HAVE to go try it or the world will keep smacking me in the face until I do. That was a GREAT article, thanks so much for all the hard work put into it!